How To Use Minecraft To Create A Digital Diorama. 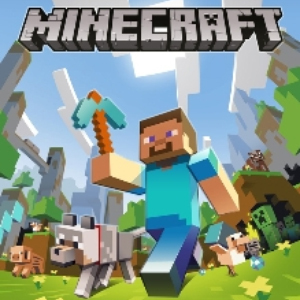 Minecraft is a game in which the main aim is to construct objects. To do so, requires a lot of thought and creativity – this makes it perfect for use in school. Recently I asked my students if they could think of any ways that Minecraft could be used to support their learning. There were many ideas! The following Monday, a pupil came to show me what he had done over the weekend. He had created a digital diorama on Minecraft for our World War 2 topic. It must have taken him hours and there was so much learning that had gone on. I connected his iPad to the class projector using Apple Airplay (you just need an Apple TV) so his Minecraft diorama could be shared with the class. What had the pupil created? A raft used by both German and American soldiers for shore landings. A German ‘Junkers JU88’ aeroplane. A crater caused by an air-raid. The amount of research that Minecraft had inspired the pupil to do was unbelievable. It really proved the power of engaging pupils in learning through something they really enjoy doing. Have you used Minecraft with your class? Let me know what you did by commenting below. Next Don’t just take notes, take ‘sketch notes’.